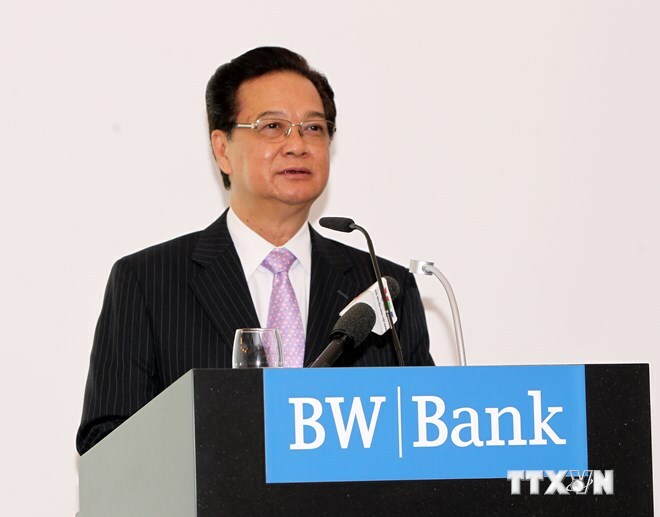 Prime Minister Nguyen Tan Dung arrived in Stuttgart city, Baden Württemberg yesterday, beginning his official visit to Germany at the invitation of Chancellor Angela Merkel. 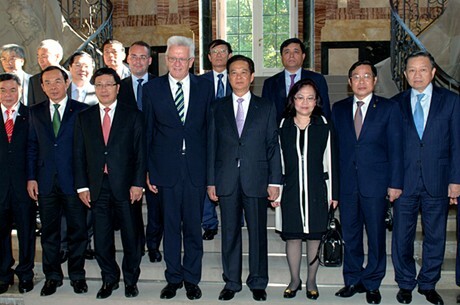 He was welcomed by Minister-President of Baden Württemberg Winfried Kretschmann, who advocated boosting ties between Baden Württemberg and Vietnamese localities, particularly in education-training and manufacturing. Mr. Kretschmann also appreciated the organisation of the Viet Nam-Baden Württemberg Economic Dialogue, which aims to accelerate economic, trade and investment links. Mr. Dung said that the strategic partnership between Viet Nam and Germany had progressed in many areas, as reflected by Germany’s status as the leading European partner of Viet Nam. 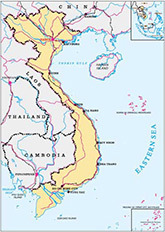 He declared that the Vietnamese Government would provide every possible condition for businesspeople from Baden Württemberg to undertake long-term and productive operations in Viet Nam, especially those manufacturing equipment or engaged in pharmaceutical chemistry, green energy and vocational training. He also proposed both sides step up collaboration in vocational training, labour affairs, education and training and science and technology.